Dogs can be messy drinkers so it can be difficult to tell just how much water they’re drinking each day. However, it is easy to notice if your dog’s water bowl is empty more, or if you find yourself constantly refilling it and your dog always seems like they’re waiting for more water. Unfortunately, excessive thirst in dogs can mean a variety of potential problems or issues, and your dog can’t tell you what’s wrong. This can make it slightly more difficult get to the root of the problem, but we’re going to help you understand how much your dog should drink per day and what you can do if you notice them drinking far more than normal. Typically, your dog should drink between a half and a full ounce of water per pound each day. This means that a 10-pound dog will need between 5 and 10 ounces of water each day to stay hydrated. 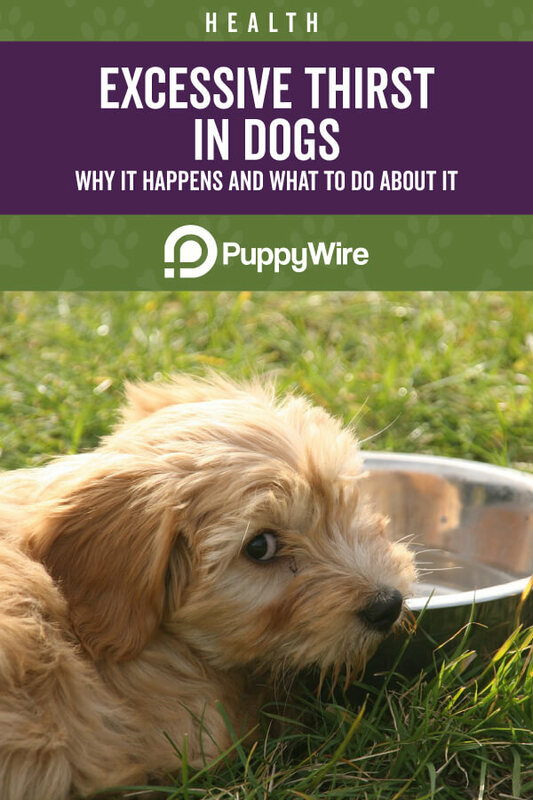 They may drink more if it’s hot outside or if they’re very active, and you have to use your common sense to decide if you think that your dog is drinking way too much. If your dog is currently lactating or if they’re generally a very active breed that is always on the go, they tend to drink more then the half to one ounce of water per pound guideline. However, this shouldn’t be a sudden increase unless something changes in your dog’s activity level or if they have their puppies. Before you take your dog to the vet, there are a few things that you should know about that can affect your dog’s normal water intake and make them drink more. It’s not necessarily a medical problem, but you do want to pay close attention. Your dog may be drinking much more than normal because they’re dehydrated, and you need to monitor them closely because dehydration is a serious medical condition that usually requires veterinary care. Look for other symptoms of dehydration like a dry tongue or mouth and lethargy. If your dog eats a diet of dry dog food instead of a mix of wet and dry or straight wet dog food, they may drink more to combat the general dryness of their food. This is more for people who have recently changed their dog’s food, and if you notice that they’re drinking more, you may want to take another look at the ingredient list to see what’s causing it. 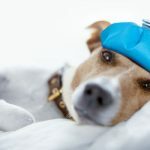 If you’ve ruled out common causes of excessive thirst, it’s time to consider the possibility that your dog may have something medically wrong that is causing them to drink much more than they normally do (polydipsia) and urinate more (polyuria). Common medical conditions can be something as simple as a urinary tract infection, or more severe like a problem with your dog’s kidneys, diabetes, Cushing’s disease, diarrhea, cancer, or an infection of some sort. Your veterinarian will have to diagnose these problems and give you the correct treatment options. For some dogs, medications like anti-inflammatory steroids, medications to stop seizures, and medications for allergies or asthma can cause them to feel thirsty. 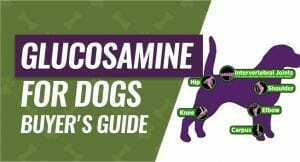 Anyone who recently put their dog on a new medication or an anti-inflammatory may notice that they want to drink more, and this is usually the medication’s fault. When your dog is pregnant, and they start to lactate, they’ll start needing to drink more water to stay hydrated because their bodies will start to work harder to produce all of the nutrients that the puppies need to grow and start their lives healthy. You should always make sure that there is fresh water available for your dog and monitor their intake levels. One of the more common and harder to diagnose issues that could cause your dog to drink more is psychological conditions. Perhaps your dog simply loves water, or maybe they’re bored and drinking or playing around with their water is a simple way to stimulate them and keep them entertained. Accidents – If your dog is drinking more throughout the day, you may notice that they start to have more accidents in the house. This one is easy to spot if your dog previously had very good bladder control. 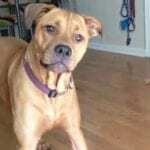 Increased Urination – Is your dog going to the bathroom and signaling that they need to go outside more often? Increased urination is one of the first signs that your dog is starting to drink more because they’ll have to get rid of the excess water more frequently. 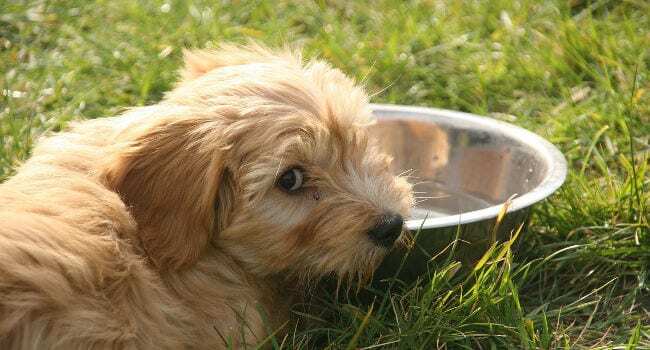 New Drinking Habits – For dogs that start to form new drinking habits like drinking from the toilet when they’ve never done this before, it’s an indicator that they don’t think that they’re getting enough water from their water bowl. If their water bowl is frequently empty, this can prompt them to search for other water sources. Water Bowl is Always Empty – One indicator that is easy to spot is if you have a hard time keeping your dog’s water bowl full throughout the day. This is especially easy to spot if you have a smaller breed of dog that doesn’t normally drink a lot. There are a few quick things that you can do if you think that your dog is starting to drink more than they normally would. These steps are relatively easy to follow, and it’ll give you good information to bring to your vet if you choose to. 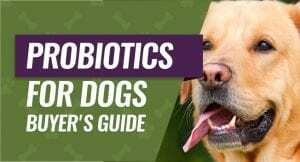 Ideally, you want to repeat these steps each day and take note, so you have a solid history to show your veterinarian if your dog doesn’t improve. If you start to notice a pattern, there are a few things that you can do to attempt to rule out serious problems with your dog. You can start by looking at any medications that your dog is on and looking at their food to see if this could potentially be the cause of their excessive thirst. You want to keep an eye on how much salt is in your dog’s food because this can make them thirsty each time that they eat. If you feed your dog a lot of treats, check the salt content in here as well, and you may also want to consider mixing a little wet food in with your dog’s dry food to put some of the moisture back. Finally, it’s always a good idea to contact your vet and schedule an appointment if your dog has a change in their behavior or their eating and drinking habits. The last thing that you want to do is wait too long and have a minor issue turn into a serious problem because you didn’t think it was a big deal. Only your veterinarian can diagnose excessive thirst and find the root cause, and they’ll typically run several blood and urine tests when you bring your dog in for their appointment. Your vet may also perform x-rays to rule out problems with your dog’s adrenal or renal systems, and they may require more thorough blood testing. Once your vet finds the underlying cause of your dog’s excessive thirst, they can design a treatment plan that suits your dog’s needs. This may be a simple outpatient basis with careful monitoring, or it may be something more in-depth. Either way, proper diagnosis, and management if your dog’s symptoms can help them lead a healthy and normal life. There is no concrete cure for excessive thirst in dogs, but you can successfully manage any symptoms your dog has and ensure their quality of life.